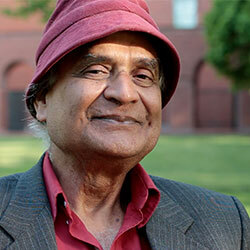 Professor Goswami earned his Ph.D. from Calcutta University in theoretical nuclear physics in 1964 and has been a professor of physics at the University of Oregon since 1968. Dr. Goswami is a senior scholar in residence at the Institute of Noetic Sciences and teaches regularly at the Holmes Institute in L.A.; UNIPAZ in Brazil; and The Theosophical Society in Wheaton, Illinois. He is the author of The Self-Aware Universe: How Consciousness Creates the Material World, and, The Visionary Window: A Quantum Physicist’s Guide to Enlightenment. To read more about Dr. Goswami, visit his personal site.